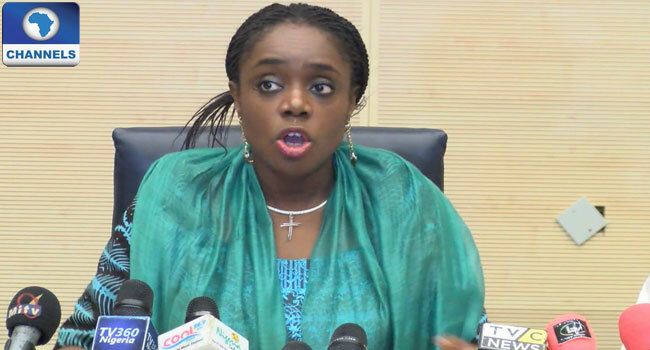 Despite the biting economic hardship facing the country, the Minister of Finance, Kemi Adeosun, has said that Nigeria has no need to apply for an International Monetary Fund programme as it is pursuing its own economic reform plan. Adeosun told CNBC in an interview that Nigeria wants to take responsibility for her economic future. “For us the IMF is really a lender of last resort when you have balance of payments problem. Nigeria doesn't have balance of payments problems per se, it has a fiscal problem. We are already doing as much reform as any IMF programme would impose on Nigeria. Nigerians want to take responsibility for their future. We must have our home-grown, home-designed programme of reform,” she said. Adeosun said non-oil revenues were improving while the government was fine-tuning an economic reform plan needed to support an application for a loan of at least $1 billion from the World Bank. It is also seeking further funds from the African Development Bank. “Non-oil revenue is improving very steadily. All the measures we have put in place are beginning to yield fruits," she said, without giving numbers. “Oil production is back up, we are very grateful for that, but we should be careful for getting excited about that."